That ICE prison for transgender immigrants? It never opened. Shortly after President Trump’s inauguration one year ago, America’s newest detention center for undocumented immigrants opened, just south of Dallas. The 707-bed facility had a unique feature: a protected, 36-bed pod exclusively for transgender detainees to keep those individuals safe from violence and abuse by the general population. 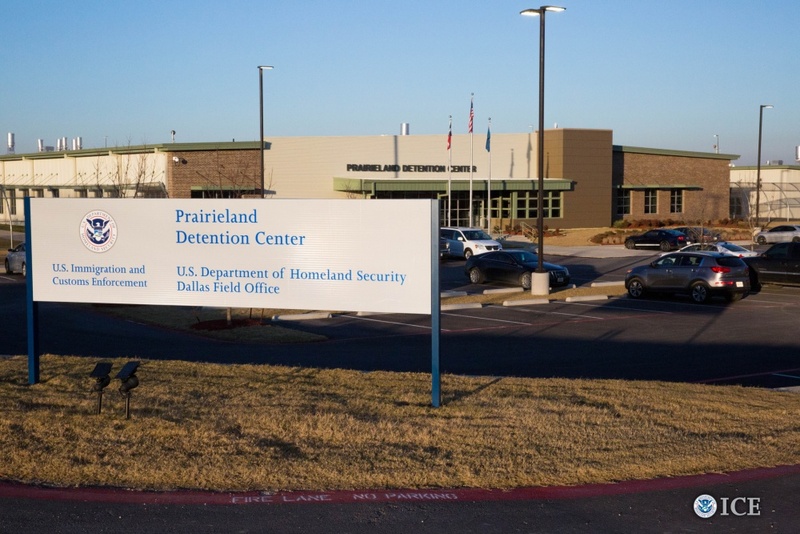 The existence of this unit, part of the private Prairieland Detention Center, was profiled favorably in stories in the Dallas Morning News, The Guardian, PRI, and Quartz. And yet, a year later, the unit for trans people detained by Immigration and Customs Enforcement still isn’t open. ICE spokesman Carl Ruskok confirmed to VICE News that despite the reports last February, the wing has never been used to house transgender detainees, and there are no plans to do so in the future. “Due to an increased demand for detention bed space and other unforeseen factors, the Prairieland Detention Center currently does not operate a dedicated transgender housing unit,” he said. Without Prairieland, ICE has just one facility with a separate unit for trans women, Cibola County Detention Center in New Mexico, about 80 miles from Albuquerque. That unit can house up to 60 trans women, according to Ruskok, and its staff have undergone training on best practices related to housing transgender detainees. But Ruskok says ICE currently has “just over 70 self-identified transgender individuals in nearly 20 facilities across the nation.” That means it’s likely that transgender immigrants are being housed either with the general detainee population or in solitary confinement. Tania Linares Garcia, a staff attorney with the National Immigrant Justice Center, estimates that there are about 20 to 30 transgender women who are currently being held in Cibola, but she believes that more trans detainees are being held in general detainee populations elsewhere. One reason trans immigrants are considered to be especially vulnerable is that a great number have fled to the U.S. to escape persecution. A report released in November by Amnesty International found that LGBTQ people were fleeing to the U.S from El Salvador, Honduras, and Guatemala in large numbers due to “epidemic levels of violence,” including killings by gangs and security forces. Another study found that Honduras has the highest transgender murder rate in the world. A 2016 report by Human Rights Watch found that dozens of transgender women who’d fled violence in their home countries had come to the U.S. only to be exposed to more abuse in American detention facilities, like sexual assault and denial of appropriate medical care. Data showing the experiences of trans individuals in immigration detention is scant, but studies of trans women in American prisons offer some idea. For example, a 2015 survey by the National Center for Transgender Equality found that 20 percent of formerly incarcerated transgender respondents said they’d been sexually assaulted by other inmates or guards. The decision to set aside a special unit for trans detainees at Prairieland came under the Obama administration, as ICE policy gradually started to reflect the concerns of LGBTQ and immigrants rights groups over the detention of transgender asylum seekers. In 2015, ICE released a memo with guidelines for appropriate placement and care of trans detainees. “The Transgender Care Memorandum reaffirms ICE’s commitment to provide a safe, secure, and respectful environment for all those in our custody, including those individuals who identify as transgender," said then–ICE Enforcement and Removal Executive Assistant Director Thomas Homan in a statement. In April 2016, the city council of Alvarado — which owns Prairieland Detention Center — voted to implement ICE’s best practices as outlined in the transgender care memo, making it the first facility constructed with specific accommodations for its trans detainee population. But then two things happened. In January, the administration changed from Obama to Trump, with a much different approach toward immigration enforcement, including many more arrests away from the border. In March, the private operator of the facility, Emerald Correctional Management, was replaced by LaSalle Corrections, another private operator of prisons. Emerald then folded completely in May. Emerald Correctional Management CEO Steve Afeman is on record touting the special security measures designed to ensure the physical safety of its transgender population. He told Dallas Morning News in September 2016, for example, that employees would gain access to the special transgender dorm through a fingerprint system rather than use key cards, that detainees and employees would be outfitted with small medallions to track their movements, and the unit would be monitored by security cameras and direct supervision. “There was a strong desire under the Obama administration, by leadership at ICE, to create a facility that was sympathetic or at least better-equipped to house trans women in particular,” said Aaron C. Morris, executive director of Immigration Equality, an LGBTQ immigrant rights organization. Rusnock says that regardless of whether the Prairieland facility was opened for transgender detainees, ICE policy on the way they should be treated has not changed. According to the 2015 memo, when a detainee identifies as transgender, ICE has three options: place them in a dedicated facility; assure that if they are in the general population, they can shower separately and continue hormone replacement therapy; or provide a facility that demonstrates “best practices” in accommodating LGBTQ detainees, including guards who have undergone sensitivity training.